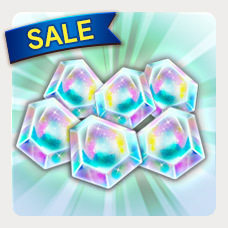 Limited Time Shop Sale now on! 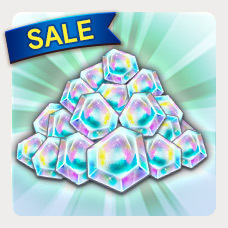 Items available for purchase in the Shop have been added! 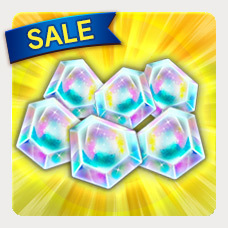 *The sale period may be subject to change depending on duration of maintenance. 45% or more off normal prices! 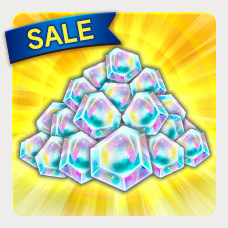 Buy 1,000 Chrono Crystals for the price of just 320 Chrono Crystals! 25% or more off normal prices! Campaign content, as well as campaign start and end dates, may change without prior notice. It may take longer than usual to reflect your Chrono Crystal purchases during instances of high user traffic. The Super Space-Time Duel #18 Begins! "Legends Rising Vol.6" now on!